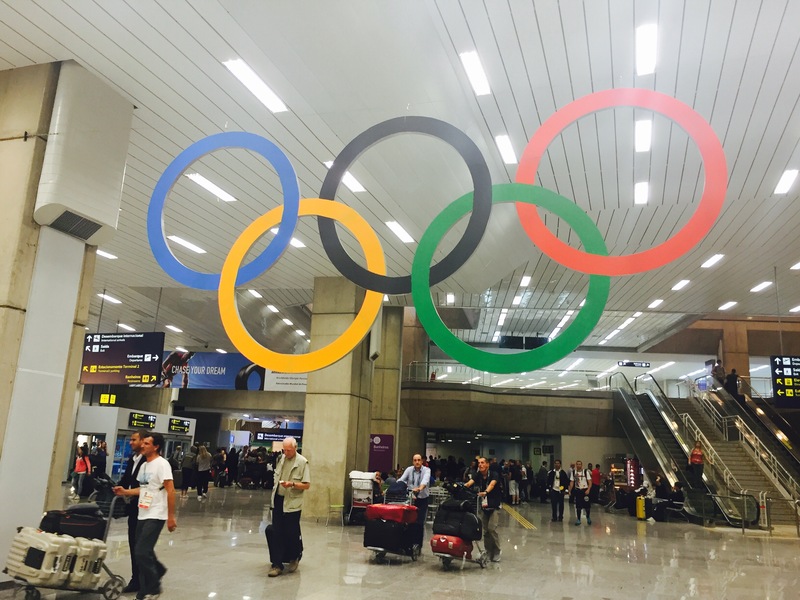 Back in August, I spent a month in Rio de Janeiro to volunteer for the 2016 Summer Olympic Games. Previously, I’d attended the 2014 Winter Olympics in Sochi but as a spectator. The following posts have been converted from my writings on Facebook throughout my experience. 1. Olympic Stadium: Went to the Sweden-South Africa and Brazil-China prelim women’s soccer games today there. Either the stadium is not finished or it looks like it still needs renovation. Not very pretty or even “normal looking”. Food lines were shorter than Sochi but you had to get a ticket from the main concession stand just to get something like popcorn from another stand (a first in sports concessions for me). Train station outside the park was great. Ticket lines were short but staff was inefficient and it took me 40 minutes to collect my tickets despite only 2 people in front of me. I assume staff will get better as the days go on. 2. Rio Transport: What a mess! There the underground metro, a light rail, train lines, the BRT (bus rapid transit system), and regular bus lines. I like the BRT because it gets its own highway lanes to circumvent the really bad traffic. The light rail is nice but runs infrequently. Line 4 of the metro (I’m riding in the empty car in the pic), to everyone’s shock, was actually finished on time and opened two days ago. However, only accredited staff like me and spectators with Olympic tickets that day can ride it for now. The general public isn’t very happy that they can’t ride it until September. Getting anywhere in Rio takes forever…getting between venues will take anywhere from one to three hours, depending on your luck. I expect to do a lot of sleeping on buses getting between places over the next three weeks. The crazy thing is that buses are the only public transport way to get to Olympic Park. Still can’t believe an extended metro wasn’t built instead of all these insanely complicated bus lines. 3. Brazilian People! Have been pretty amazing. The vast majority (even volunteers) do not speak English so that has been a big challenge. Still, they have been incredibly helpful when we have transport issues or feel lost. Many have come up to us asking if we need help, too. My Portuguese is coming along fairly well – maybe it will be better than my Italian by the time I leave, haha. Also, at the soccer games, some volunteer friends wanted to sit with me near my seat, and when people with those actual seats showed up, they just took other seats and happily and “smiley” allowed us to sit together. This happened several times and it was never a problem. 4. Crime and Safety: I’ve generally felt very safe here. There was a helicopter circling over the stadium today all day and military police are everywhere. Military police have been helpful in terms of transport issues, too. I’ve also constantly stayed in groups and used common sense. However, I don’t take my phone out in public as much and really keep my bag close to me. 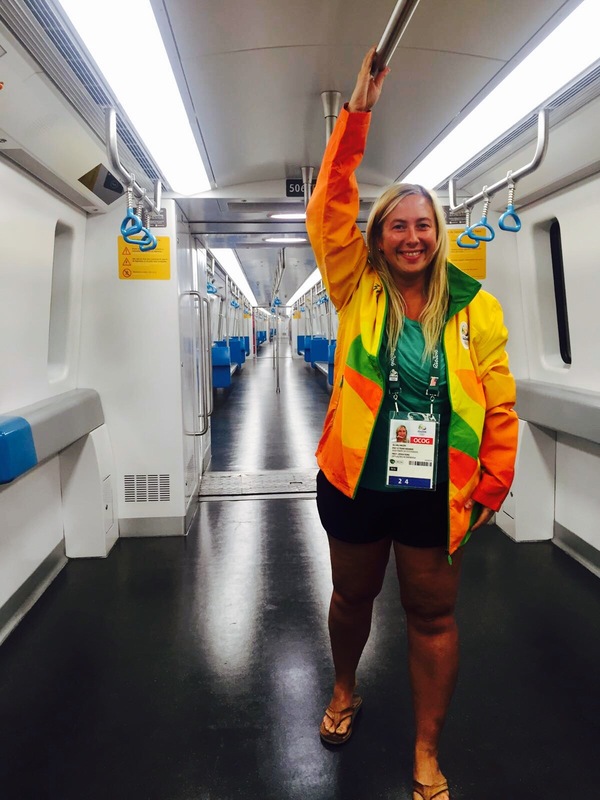 Olympic security peeps have some snazzy blue, green, and yellow digital camp sweat suit uniforms! No scary stories yet but we shall see. 5. Olympic Torch: Wait for it. There is no actual Olympic torch in the main Olympic Park in Barra. (There is another sort of mini-Olympic Park in the Deodoro area.) There are two Olympic torches, believe it or not. One will be in Maracana, where the opening/closing ceremonies will be held and the other one will be downtown. 6. 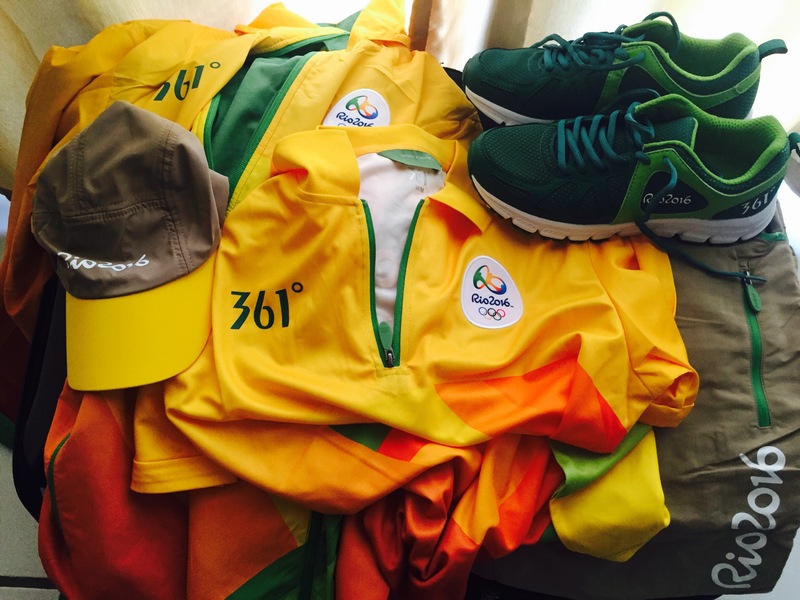 Volunteer gear: It took me about 2.5 hours to collect my official accreditation and uniform for the Games. Since I’m working in (press) operations, I have a lovely banana-colored uniform. Green volunteer uniforms indicate event services while red ones indicate medical staff – so look for those on TV!😉 All the volunteer staff facilitating the very organized uniform handout process were great and I have zero complaints. Can’t wait to adorn my accreditation with pins I trade/collect…I may or may not have brought 280 American flag pins to trade.😂🇺🇸😝✌🏻️PS A Chinese company supplied the volunteer uniforms🤔 Was thinking it would be Brazilian.